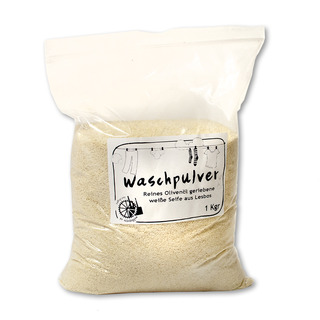 Vio.Me Washing Powder made of ground olive oil soap from Greece. Vegan and free from animal testing. 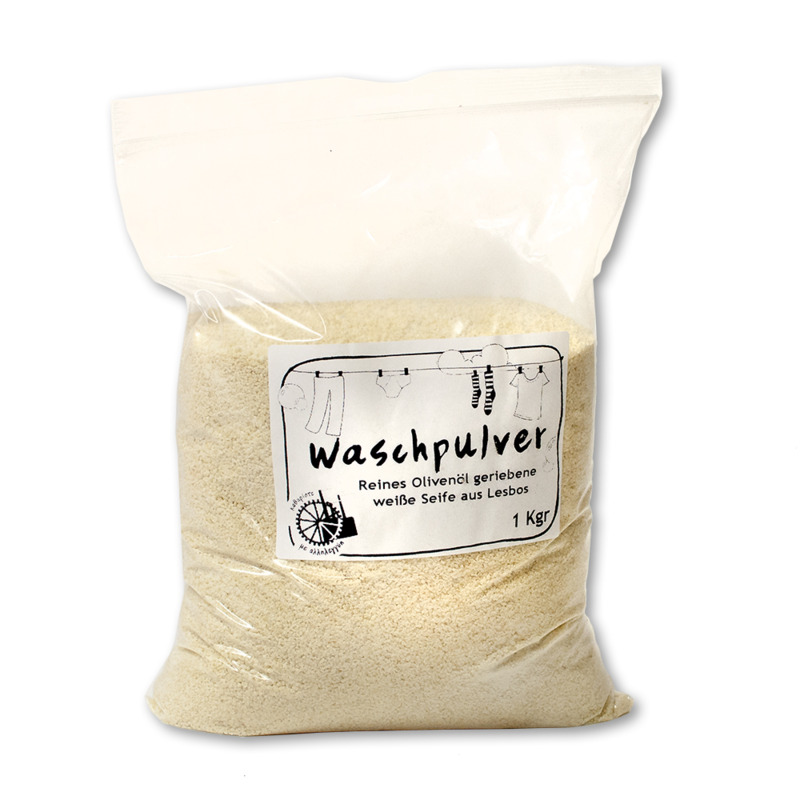 How to use it: Put some powder into warm water together with your clothes, and wash! Please note: The washing powder was filled in plastic bags that are not shrink-wrapped!